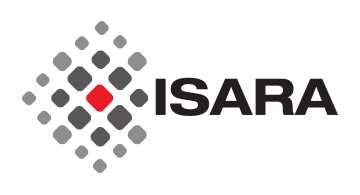 ISARA is the largest organization in the world focused solely on developing quantum-safe cryptographic solutions for integration into commercial products to protect against emerging security threats. As businesses and governments around the world seek to protect themselves from emerging cybersecurity threats, they are making long-term strategic bets on emerging technologies to address their future business needs. ISARA’s mission is to help our customers take important steps to address the next generation of privacy and security concerns in the quantum age. The ISARA Radiate Security Solution Suite is the first commercial offering of a high-quality implementation of quantum resistant algorithms and related integration tools built for developers. It allows organizations and OEMs to integrate critical, quantum-safe security measures into commercial products and networks today, and facilitates the transition to crypto agility in enterprise security. ISARA’s R&D engagements include Canadian and UK Government agencies and several top 10 banks in North America. ISARA’s optimized quantum resistant algorithms for governments and large enterprises preserve user experience and performance while providing the highest levels of next generation security. ISARA has 30+ employees at its headquarters in Waterloo, Ontario, many with years of experience in technology companies, including BlackBerry, Certicom, Oracle, and McAfee, and academic and research institutions, including the Institute for Quantum Computing (IQC) and the Perimeter Institute. The ISARA team has expertise building high performance cryptographic systems for constrained environments. CEO Scott Totzke and CTO Mike Brown are veterans of BlackBerry’s security organization that guided its product security lifecycle, regulatory compliance, lawful access and privacy strategies globally. COO Mark Pecen is also chairman and founder of the European Telecommunication Standards Institute (ETSI) Technical Committee Cyber for Quantum Safe Cryptography (Cyber QSC), specializing in next-generation security, and an inventor of a number of technologies that have been adopted in global wireless standards (GSM, UMTS, HSPA+, LTE for 4G wireless, and others).